Joshua Schultz is an accomplished leader with a 20-year track record of success in life sciences and clinical research organizations. Prior to joining Cytel he served as an Officer of PAREXEL and Senior Vice President for PAREXEL’s Access business unit. Joshua has built and led groups for services spanning the development lifecycle, including study-start up, late phase trials and market access. His achievements include the development of novel approaches to building high value strategic partnerships with life science companies and creating innovative operational models that leverage real world data and related technologies. Prior to joining PAREXEL, he served as Vice President of Corporate Development at Veritas Medicine, which he co-founded. Previously, he worked at Mercer Management Consulting, where he developed growth strategies for Fortune 500 companies. Joshua holds a B.S.E. in Finance from the Wharton School of Business, a B.A. in International Relations from the University of Pennsylvania, and a Masters of Philosophy in International Relations from the University of Cambridge, UK. Cyrus Mehta is a prominent biostatistician, and Fellow of the American Statistical Association. 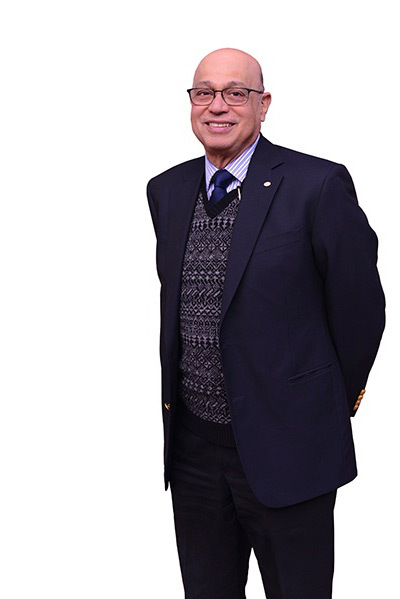 He co-founded Cytel Inc. in 1987 along with Nitin Patel. Their shared vision was to make modern methods in statistics and operations research accessible to clinical researchers, by creating quality software for statistical analyses. Cyrus's efforts helped establish Cytel as an industry leader in exact statistics, as well as in adaptive and group sequential methods. He remains a driving force behind Cytel’s East®, the industry standard software for trial design, simulation and monitoring. Experience: As one of the world's leading experts on adaptive clinical trials, Cyrus regularly provides guidance and training to leading pharmaceutical companies, academic collaborators and FDA personnel. He has published more than 100 research articles in scientific journals including JASA, Biometrics, Biometrika, Circulation, The Lancet, The New England Journal of Medicine and Statistics in Medicine. Cyrus is adjunct professor of biostatistics at the Harvard T.F. Chan School of Public Health, and holds degrees from the Massachusetts Institute of Technology and the Indian Institute of Technology at Bombay. Cyrus has provided groundbreaking innovations in computational statistics for rare events and statistical design of adaptive trials. He and co-authors, Dr. Nitin Patel and Dr. Karim Hirji received the ASA's 1987 George W. Snedecor Award for best paper in biometry. Research: Cyrus was a chief contributor to Cytel's development of permutational algorithms and their applications to categorical data analysis, nonparametric tests, power and sample size calculations, contingency tables analysis and, more generally to inference on the parameters in regression models for categorical data. The same algorithms make it computationally feasible to obtain accurate p-values, confidence intervals and sample-size designs for small or unbalanced data sets and sparse contingency tables. These advances have revolutionized general statistical practices. His recent research focuses on developing group-sequential and adaptive trial methods and supporting software, including adaptive sample size re-estimation or “Promising Zone” designs. 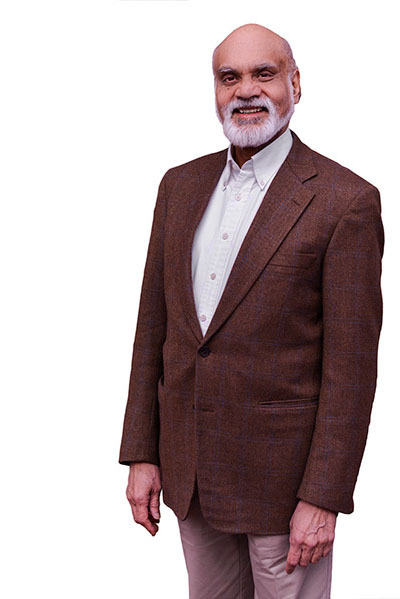 Nitin Patel, a distinguished management scientist and Fellow of the American Statistical Association, co-founded Cytel in 1987 along with Cyrus Mehta. Cyrus and Nitin hoped to make modern methods in statistics and operations research accessible to clinical researchers by creating quality software for statistical analyses. 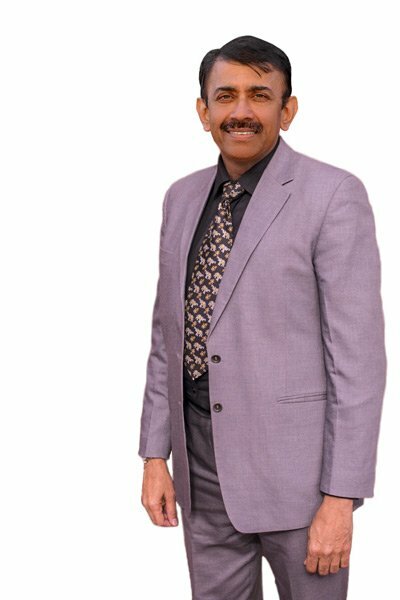 A widely respected expert in the development of fast and accurate computer algorithms for the implementation of computationally intensive statistical methods, Nitin has played a leading role in pioneering Cytel’s StatXact® and LogXact® software. These award winning software packages are popular tools for exact, nonparametric inference analysis. Experience: Nitin has been a Visiting Professor at the MIT Sloan School of Management since 1995. As a faculty member associated with MIT’s Center for Biomedical Innovation (MIT CBI), Nitin has contributed to the CBI’s research program in New Drug Development Paradigms (CBI NEWDIGS). As a part of CBI NEWDIGS Nitin recently developed a multi-stakeholder process and tool set for generating data-driven adaptive licensing discussions, known as the JANUS initiative. Earlier in his career, Nitin was a co-founder of Tata Consultancy Services, a multinational software consultancy based in India. He was also an active member of several societies for the advancement of scholarship in operations research, statistics and computer science. Research: Nitin has published over 75 articles in leading journals in statistics and the decision sciences. His research now engages with the development of new clinical trial modeling tools for improved decision-making at pharmaceutical and medical device companies. His pioneering work in innovative clinical development strategy ranges from drug supply planning in complex trials (e.g. adaptive clinical trials or multiarm studies), to determining accurate measurements of the net present value (eNPV) of a clinical program. Scott J. Charles has 22 years of experience and a record of accomplishment across a spectrum of financial operations in public and private environments. Before joining Cytel, Scott served as Chief Financial Officer of Aralez Pharmaceuticals, a publicly-traded (NASDAQ and TSX), global specialty pharmaceutical company that formed from the merger of Pozen and Tribute Pharmaceuticals. At Aralez, Scott helped complete the merger of Pozen and Tribute Pharmaceuticals, set up a global, tax-efficient structure, completed two product acquisitions and two product launches and built a finance and information technology infrastructure. 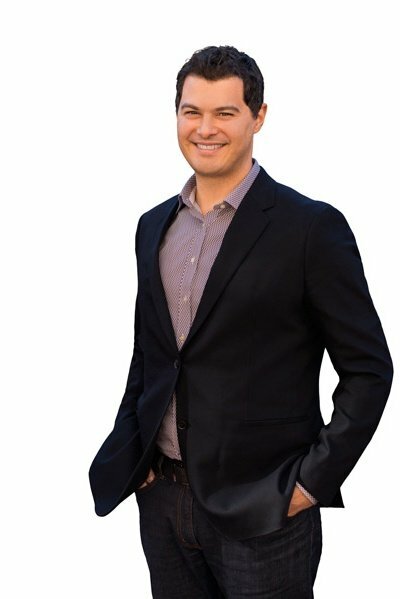 He helped Aralez grow revenues from ~$50 million in 2016 to a projected ~$150 million in 2018. Prior to Aralez, he served as the Vice President of Finance and Treasurer at Ikaria, Inc., a critical care pharmaceutical company with annual revenues in excess of $400 million. Scott played a lead role in the spin-off of Ikaria’s R&D operations and sale of its commercial business to a private equity firm in 2014 for $1.6 billion and then to Mallinckrodt in April 2015 for $2.3 billion. While at Ikaria, Scott successfully helped raise over $3 billion through numerous capital market transactions, and led all of the finance functions. Earlier in his career, Scott held several senior finance roles of increasing responsibility, culminating as the Vice President of Finance and Treasurer at Reliant Pharmaceuticals, Inc., where he played an integral role in the company’s M&A process that resulted in the successful sale of Reliant to GlaxoSmithKline for $1.6 billion in 2007. At Reliant, he was instrumental in closing several business development transactions, including the acquisition of Lovaza, a product that grew to over $1 billion in annual revenues. Previously, at Arthur Andersen, LLP, Scott was Manager of Assurance and Business Advisory Services. He holds a Bachelor of Science degree in Business Administration from Bucknell University and is a Certified Public Accountant. Carolyn Morrill oversees Cytel’s human capital management including its talent management and organization development. With over 20 years’ experience in life science executive search, she has enabled the growth of many early and late-stage companies by helping them to attract and retain top talent. Prior to joining Cytel, Cary Morrill was a Cook Associates Executive Search Vice President where she executed assignments for multinational corporations and leading private equity and venture capital firms. She was also Managing Partner of Barrack Hill Partners, a retained search and human resources consulting firm she co-founded in 2001. Her earlier career included senior positions with executive search firms Christian and Timbers (now CT Partners), OakBridge (based in Tokyo), Executive Alliance and Chestnut Hill Partners. She entered search following a successful career in management consulting with Arthur D. Little and International Data Corporation. Cary’s interests reflect her passion for entrepreneurship and mentoring. She remains involved with MIT’s Venture Mentoring Service, Babson’s Center for Women’s Leadership Program and YouthCITIES, a boot camp teaching social entrepreneurship to high school students. Cary graduated from the University of Wisconsin and holds an MA from Columbia University. 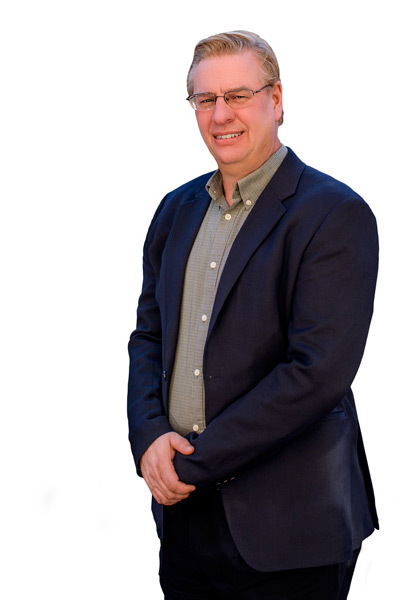 Irving Dark brings 20+ years of business development and operational management to his leadership of Cytel’s cutting-edge biostatistics, statistical programming, and data management (BDM) business. He has a track record of success in guiding drug, biologic and medical device products through the development process, and growing commercial clinical research organizations. Prior to joining Cytel, Mr Dark was Vice President, Business Development and Operations for Veristat, Inc, establishing and overseeing the company’s Data Management, Project Management, and Business Development departments. He was integral to Veristat’s Corporate Compliance activities ensuring regulatory and GCP guideline adherence for program successes in oncology, influenza, and smallpox vaccine. Earlier in his career, Irving held key positions at full-service CRO Parexel, where he managed Phase 1 - 3 clinical trials in the US, South America, Europe and Asia. He began his career at Women & Infants’ hospital in Providence, RI, responsible for pediatric research data management and statistical programming in Gestational Diabetes, Neonatal Intensive Care, Audiology Clinic, and with Brown University’s Sleep Research Lab. Irving’s in-depth clinical development knowledge encompasses statistical programming, EDC and international project management. He is the co-author of numerous published clinical studies and a recent DIA invited speaker. Irving holds an Economics, BA from the University of Rhode Island. Over his 30 year career, Jim Baker has held leadership positions at some of the world’s top pharmaceutical, biotech and clinical research firms including Amgen, Wyeth and Parexel. Most recently, Baker served as Senior Director of Study Standards Implementation at Millennium. 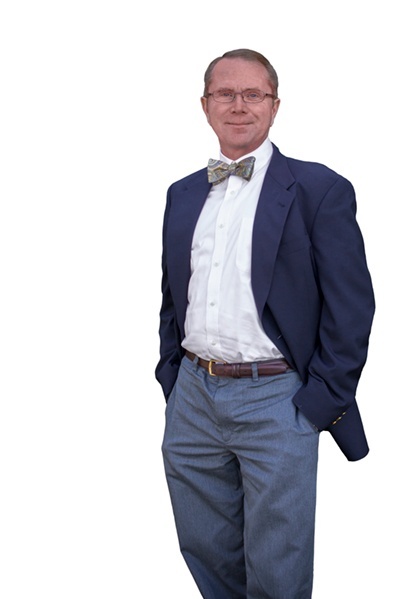 Mr. Baker is respected not only for his cross-functional experience spanning both product development planning and clinical operations, but for his considerable trial data management knowledge. For Cytel, Jim oversees global deployment of the Functional Services (FSP) business in support of our clients’ clinical research efforts. 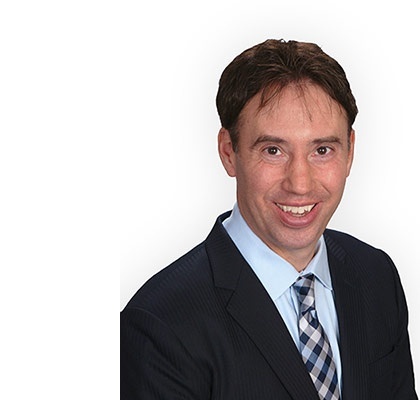 With a deep familiarity of clinical data handling and regulatory requirements, he specializes in data procurement, security and submission process strategies. Yannis Jemiai has a pivotal role within Cytel, leading the company’s consulting and software business units, as well as the global marketing group. 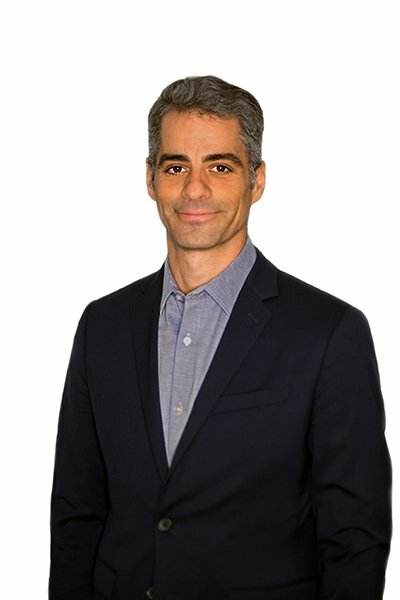 With Cytel Consulting he heads up an elite team of biostatisticians, skilled in applying the latest trial techniques and methods, to help our customers accelerate clinical development and mitigate portfolio risks. Yannis also oversees the development of Cytel’s software product lines, including trial design packages East® and Compass®, and exact statistics applications StatXact® and LogXact®. Yannis guides global marketing efforts to raise the awareness of and uncover new opportunities for the company's growing range of clinical research services and specialized software. 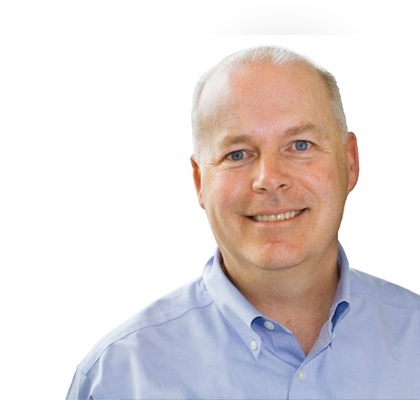 David B. Riddle has more than 25 years of IT leadership experience in advanced technology industries including semiconductor, microelectromechanical systems, photonic technologies, and scientific instruments. David has a strong record leading and developing top performing teams and crafting creative IT strategies that improve productivity, differentiate products and services, enable growth, and deliver strategic outcomes. David has been a thought leader in digital transformation, is an Edison Award Winner, and has served on the Executive Advisory Boards for the Industry of Things World 2018, and the Boston Premier CIO Forum. Before joining Cytel, David served as Director of Information Technology and Digital Science for the Field and Safety Instruments Business at Thermo Fisher Scientific where he was a member of the Senior Management Team, integrated and harmonized business systems and IT infrastructure for three acquired companies, and led the integration of IT technologies into product development. Prior to Thermo Fisher, David held senior IT leadership roles at Ahura Scientific, Analog Devices, and Corning Lasertron. David holds a Bachelor of Liberal Arts Degree from Harvard Extension School at Harvard University. Patti Arsenault is an experienced clinical development leader with a track record of implementing and managing processes, managing teams, and ensuring quality delivery. She brings over 20 years of operational and technical leadership in clinical data management and database programming across a wide variety of therapeutic areas. Under Patti’s direction, her teams have implemented quality assurance and control initiatives, standards in data operations, designed operational support functions and developed corporate data management standard operating procedures. Patti is a natural leader, with an eye on continuous process improvement. Patti possesses a Master’s degree in Business Administration with a concentration in management, is a certified Project Management Professional (PMP) and a Certified Clinical Data Manager (CCDM). 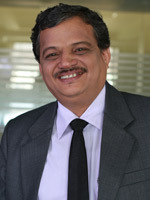 Ajay Sathe is Chief Executive Officer of Cytel's India Operations, head quartered in Pune, India. Ajay oversees the delivery of software development and biometrics outsourcing services within the region. His strong management track record includes applications development, product management and governance of outsourced services. Prior to joining Cytel Inc., Ajay was Founder and Technical Director at Spectrum Business Support Ltd., where he led teams building both WordMiner, an information retrieval library, and Jurix, a law information service. 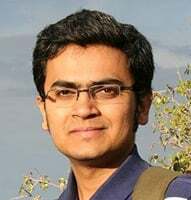 Ajay Sathe studied Electronics Engineering at Banaras Hindu University, India, and received his MBA from The Indian Institute of Management, Ahmedabad. Aniruddha has over 17 years of experience in software development, project management and product management. His expertise includes programming, software architecture and statistical applications. He leads development of a number of Cytel’s software products and is highly valued as a mentor to programmers and statisticians in the software team. Aniruddha holds a Masters in Applied Statistics and Informatics from the Indian Institute of Technology, Bombay. 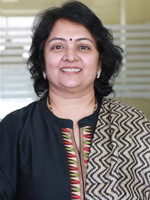 Manjusha has over 28 years’ IT experience spanning project management, quality assurance, training and testing. She is a pioneering member of Cytel’s Clinical Programming team. She heads a team of over 180 SAS® Programmers and is responsible for the delivery of statistical programming services. She holds a Project Management Professional (PMP) certification from PMI, USA. Anil has over 20 years’ of experience in strategy, management and delivery in clinical services working at various large pharmaceutical companies and a specialty CRO. His expertise spans Biometrics, QA, Compliance and continuous process improvement to increase productivity. Prior to joining Cytel, Anil worked for companies like Merck&Co., Accenture and Novartis where he built and led large successful teams. Anil holds a BSc from Osmania University, India, an MBA from JNT University, India and an MA in Mass Communications from University of South Dakota, USA. Anand brings nearly 30 years’ industry and consulting experience to his role at Cytel, where he is responsible for Finance, Personnel and Administration within the company’s India operations. His key areas of expertise are taxation, US GAAP, MIS and other international standards such as ISO and QS. Prior to joining Cytel, he worked in Fortune 500 companies including Sulzer India Ltd. and Gabriel India Ltd. He earned his graduate degree in Commerce with a post graduate Diploma in Taxation and Business Finance, and has completed the Certification in International Financial Reporting Standards (IFRS). 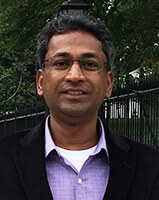 Anand is a Board member of the Executive Committee of SEAP.